In the never ending pursuit of increasing energy efficiency, we decided to insulate all the copper piping coming off of our boiler. I also had an ulterior motive of keeping my shop from overheating this winter. 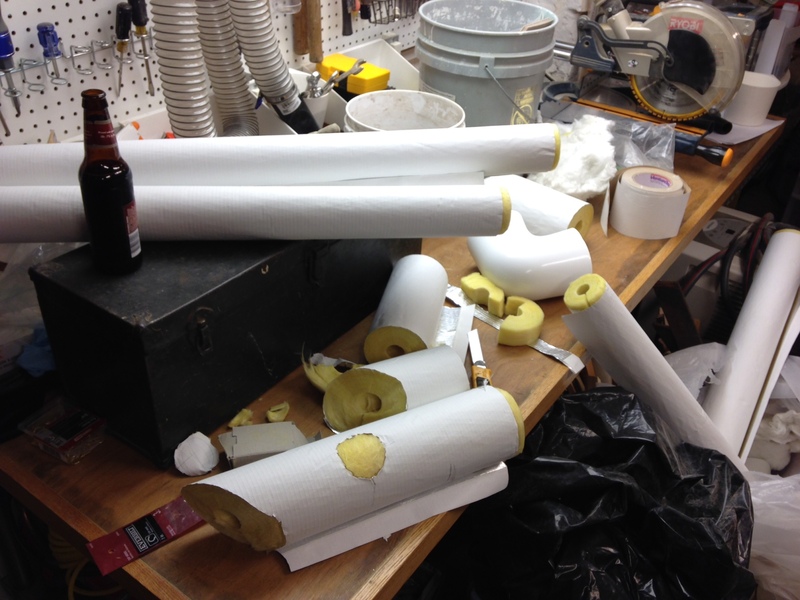 We insulated with 1.5″ fiberglass pipe insulation which will help keep a lot of that heat in the pipes. It’s approximately an R11 and is wrapped in foil paper with a white exterior. It is easy to cut, and fast to install. 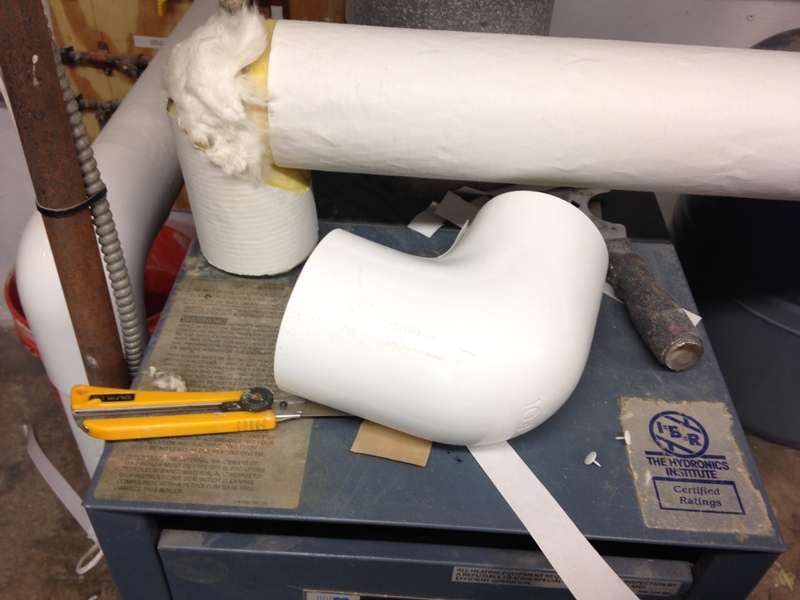 The insulation is split to go over the pipe and has an adhesive strip to easily attach and seal it. The corners get wrapped in loose insulation and then get covered in these plastic boots that are secured with tacks. Then lastly any joints get tapped with matching white tape. 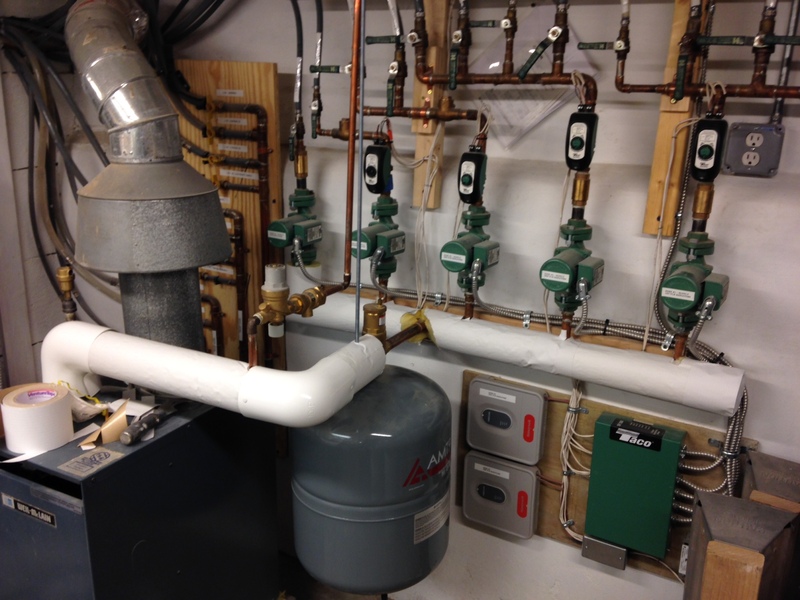 It was fun to install the insulation around all the valves and take offs, but it should a difference. 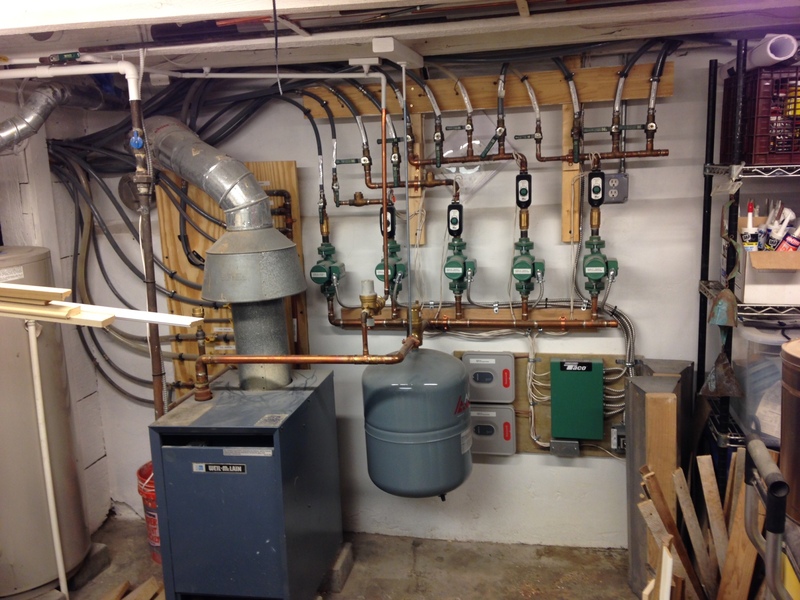 When we installed the pex we had also debated insulating it by since we fished a lot of it through closed walls that was not an option and in the basement it was nice to loose a little heat to temper the basement temperature. 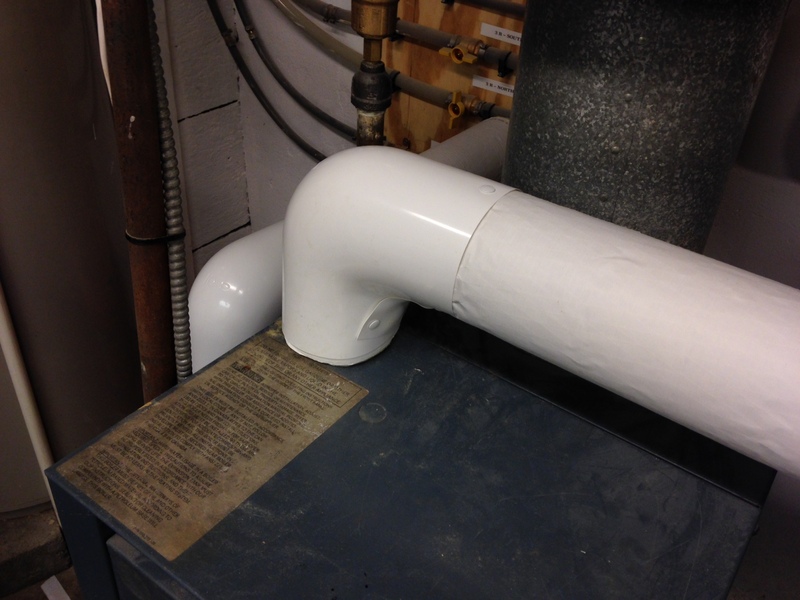 All & all it looses a lot less heat then the large uninsulated iron pipe that we replaced. 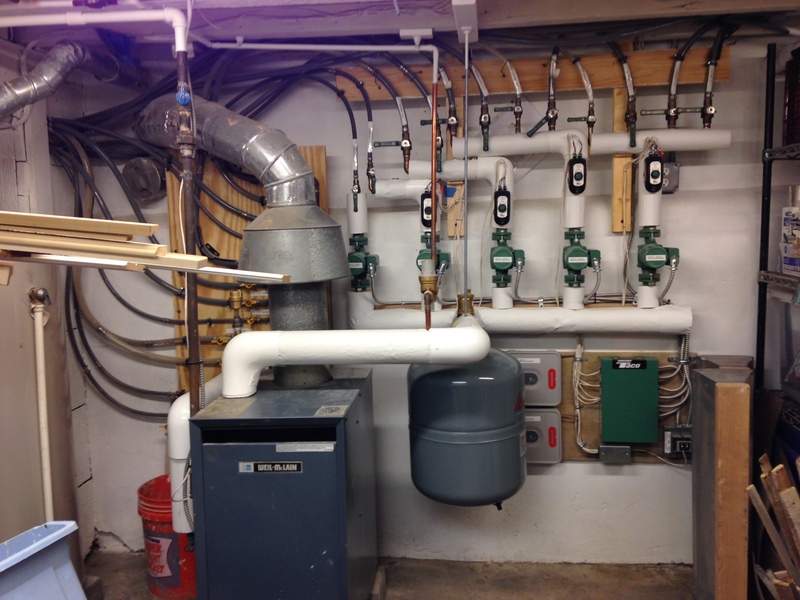 I would love to someday to compare the old system’s gas bills to our current redone, zoned, and now insulated system (Of course we demo’ed the old system as soon as we bought the house so we would have to get the bills from the old owners…).